Friday nights at my parents’ house generally means going to Yours Truly restaurant for dinner. I happened to go there for lunch with a friend of mine today, so I politely opted out of dinner there tonight. 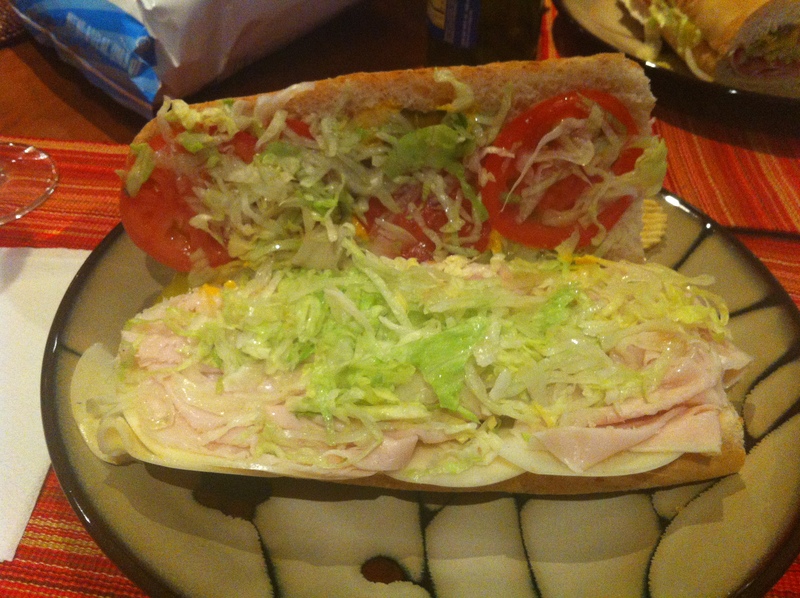 I ended up with a turkey sub on wheat bread, with tomatoes, pickles, banana peppers, lettuce, mustard and provolone. 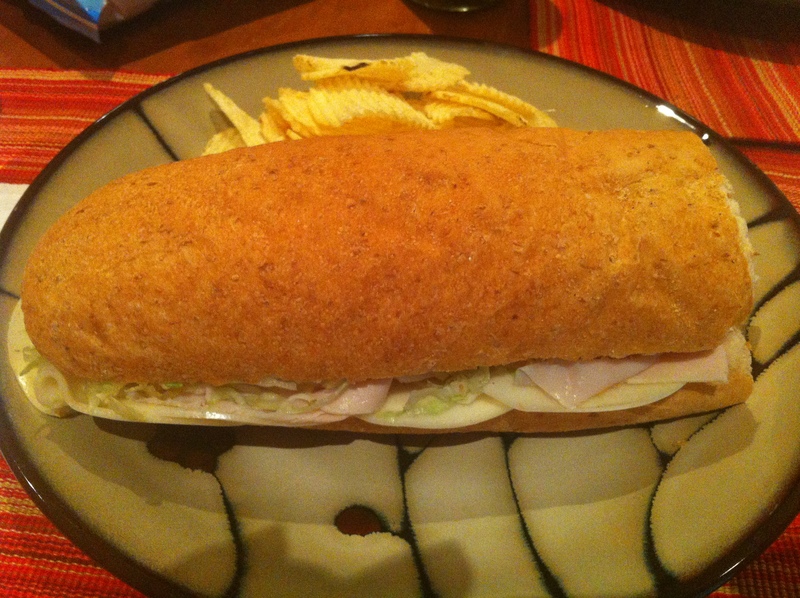 Let me say that Jersey Mike’s makes a pretty darned good sub! I only wish they had avocado (and that’s probably because I JUST returned from the west coast, where avocado is abundant). Dad did well with his choice. Perfect Draft food! Except for the fact that it filled me up too much for me to enjoy leftover Buffalo Chicken Dip, which I made for the 1st round viewing “party”. I used to go to the Willoughby location when my office was there. I didn’t realize Jersey Mike’s was in Mentor too (current office location)!